Editor’s note, Feb, 9, 2019: This story has been updated based on the excellent comments from readers Steve Jones and Forrest McCarthy. 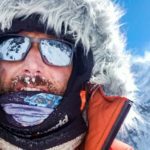 With the growing popularity of Antarctic journeys, ExplorersWeb delved into the web’s largest database on South Pole expeditions and consulted with Australian polar travelers Eric Philips and Damien Gildea to find out the 10 most traveled routes to the South Pole. In November 1988, a multinational team of 11 began the first trip to the South Pole from Hercules Inlet, on the southern edge of the Ronne Ice Shelf. 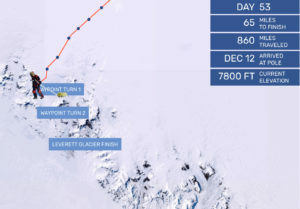 Since then, at least 195 people have skied these 1,130km, making it the most traveled route in Antarctica. 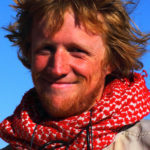 American Aaron Linsdau took the longest time to complete his trip: 81 days in 2012-2013, more than three times longer than Norwegian speedster Christian Eide, who covered the same line in 24 days. During the first three or four strenuous days, you ascend 800m from sea level through the Wilson Nunataks toward Patriot Hills. 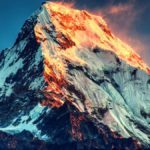 This early climb meanders through a heavily crevassed area, and there is a strategic advantage in not being the season’s first expedition, because you can likely follow the intermittent tracks of your predecessors through the danger zone. Afterward, you cross the open snowscape to Thiels Corner, a common re-supply point. 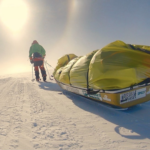 One can expect headwinds the entire way to the South Pole. Beyond Thiels Corner, large bumpy sastrugi riddle the polar plateau, which rises gradually for another 800m before leveling out. In 1989, Reinold Messner and Arved Fuchs became the first to cross Antarctica without dogs or motorized support. They covered 2,800km on their 48-day, parasail-assisted journey. 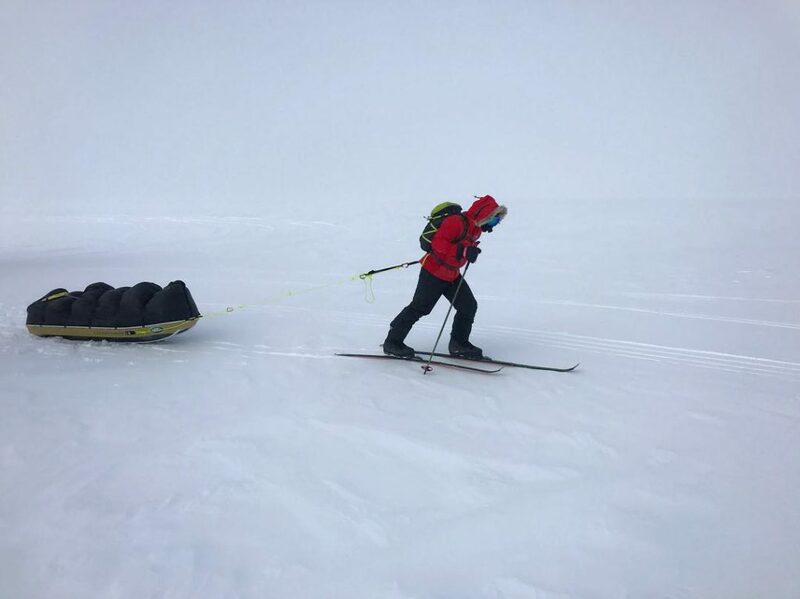 Since then, roughly 88 people have followed in their tracks by taking a shorter version of their route, which skims along the edge of the Foundation Ice Stream and the Transantarctic Mountains for roughly 900km. While the route is slightly shorter than starting from Hercules Inlet, a 1,340m ascent leads up to Thiels Corner. Beyond, crevasse fields ripple out for many kilometres beyond the ice stream. It’s wise not to take off your skis, even when the snow is hard. Smaller than Luxembourg, Ross Island is home to Mt. Erebus (3,794m), the southernmost active volcano in the world. Shackleton’s Hut, McMurdo Station and Cape Evans are the three starting points on the island; they have been used by at least 36 people and 7 expeditions. From here, it’s 1,400km across the Ross Ice Shelf to the South Pole. In 1957-58, Vivian Fuchs led the Trans-Antarctic Expedition from the other side of the continent. Edmund Hillary, leading a depot team, drove Ferguson tractors from Shackleton’s Hut to the South Pole and back, covering 3,472km to leave supplies for Fuch, coming from the other direction. It is said that Fuchs was irritated when Hillary reached the South Pole before him. Ross Island appeals both because it is rarely done and because it was the traditional start of both Scott and Shackleton. Today, it remains such a rare launch point mainly because of the expense of getting there: an estimate of a million dollars would not be far off. 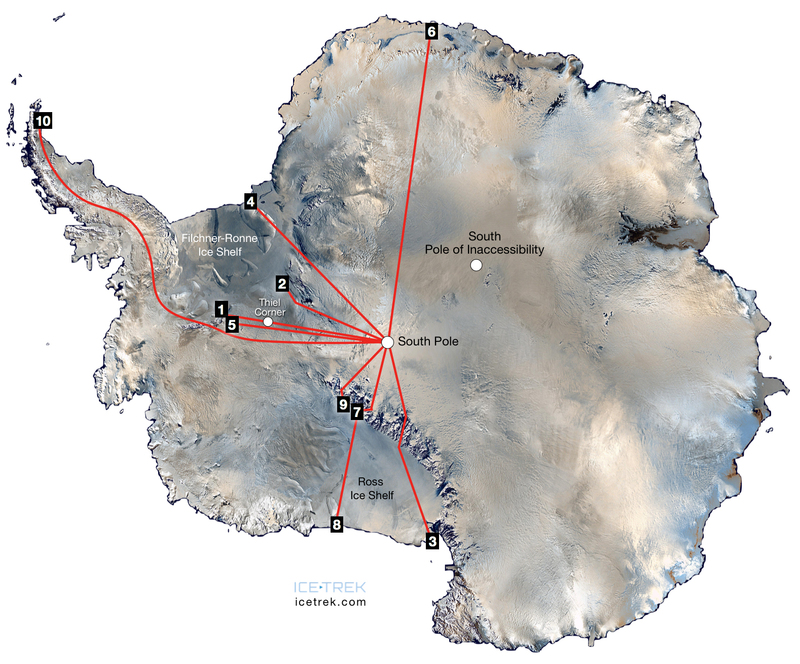 The route traverses the flat Ross Ice shelf, then climbs toward the Transantarctic Mountains. 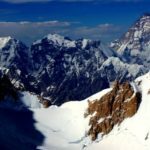 To get past these rocky teeth, you need to slip up one of several glaciers: the Reedy, Shackleton, Kansas or Skelton Glaciers, or more traditionally, the Beardmore Glacier (Shackleton’s way) or Axel Heiberg Glacier (Amundsen’s). Discovered only in 1957-58, Berkner Island lies on the northern side of the Ronne Ice Shelf and is one of the few outer coastline starts. Norway’s Mørdre brothers, Sjur and Simen, pioneered the 1,300km route in 1990. 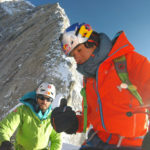 Two years later, Erling Kagge skied the route solo over 50 days. 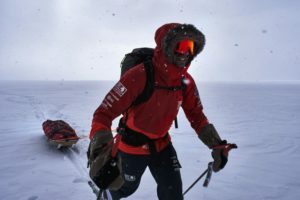 At least 30 people over 10 expeditions have followed this line, including Borge Ousland on his great crossing, and the late Henry Worsley, who contracted peritonitis near the end of his journey and later died in a Chilean hospital. The route includes a small escarpment that skiers must surmount before reaching the plateau. The Patriot Hills route is similar to the Hercules Inlet line, which passes nearby. 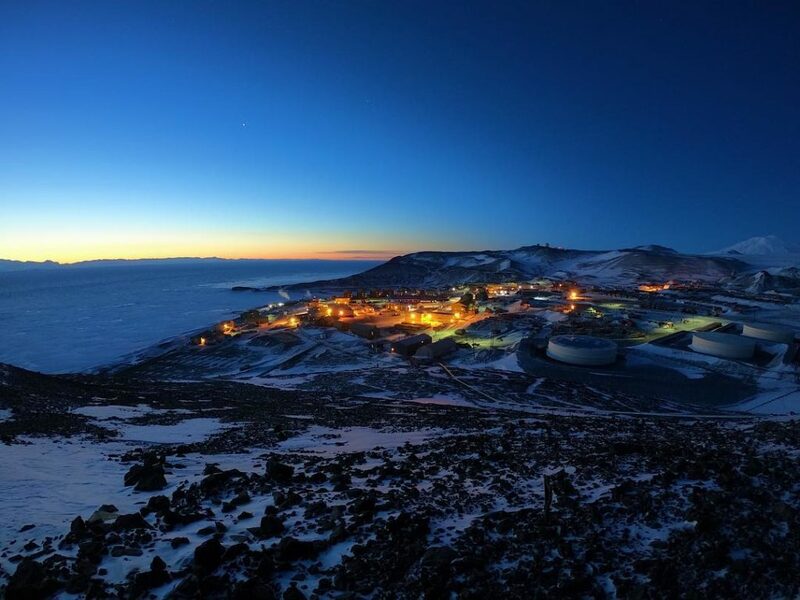 Until November 2010, Antarctic Logistics & Expeditions (ALE) ran Patriot Hills as the only private camp in Antarctica. 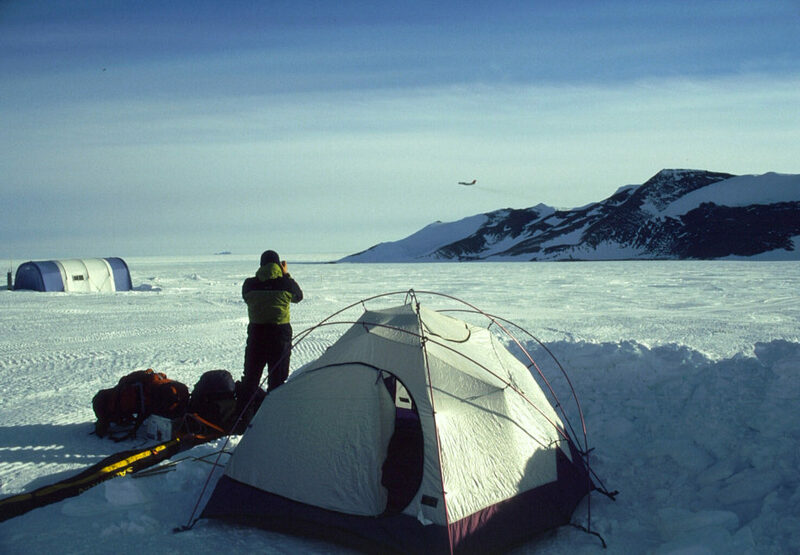 Then they moved their base 70km northwest to Union Glacier Camp. From the first motorized expedition in 1992, undertaken by Shinji Kazama of Japan — he of motorcycle to the North Pole quasi-fame — a total of 27 people have traveled the 1,084km from here to the South Pole. 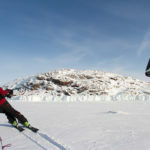 A Dutch duo in 2000 and a four-man British team in 2006 also succeeded in a wind-assisted 2,170km return journey to the Pole and back to Patriot Hills. 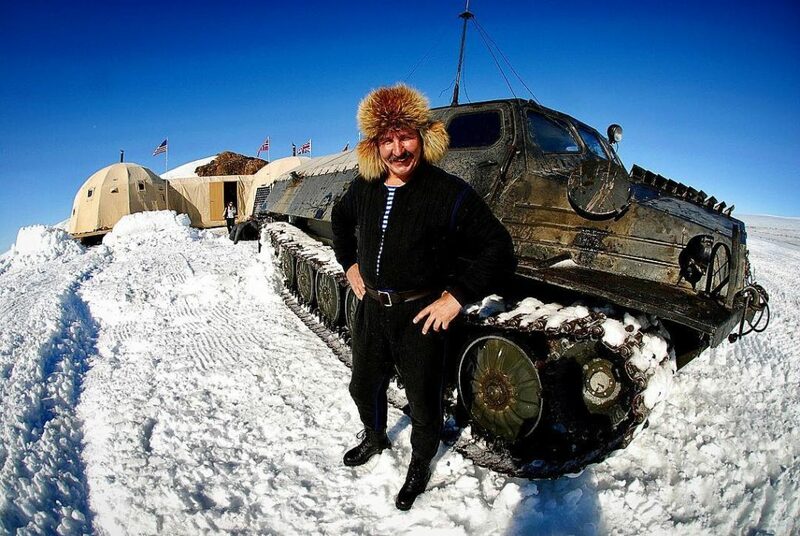 Located in Queen Maud Land, Novolazarevskaya Station — known simply as Novo — is one of seven Russian bases currently active in Antarctica; however, 17 inactive ones remain from the Soviet Union. 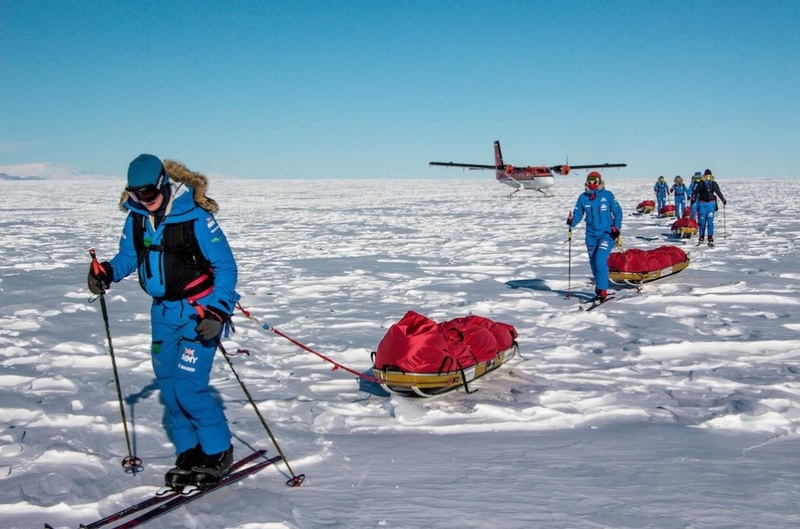 Teams depart not from the station itself, at the outer edge of the ice shelf, but from the airstrip 15km south. 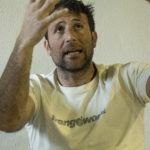 At least 14 people have started their expeditions here, including two parties in 2006 and 2014, who kite-skied 1,610km via the Pole of Inaccessibility. The failure rate at Novo is the highest of any route. 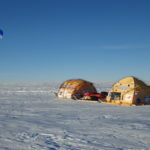 Other parties have started at nearby Troll Base, such as a 2011-2012 team using wind-powered vehicles, and Mike Horn in 2016. 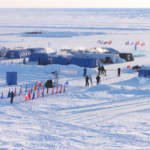 There are also other starting points in the area such as Roi Baudouin base, SANAE IV and the Blue 1 runway in Queen Maud Land. 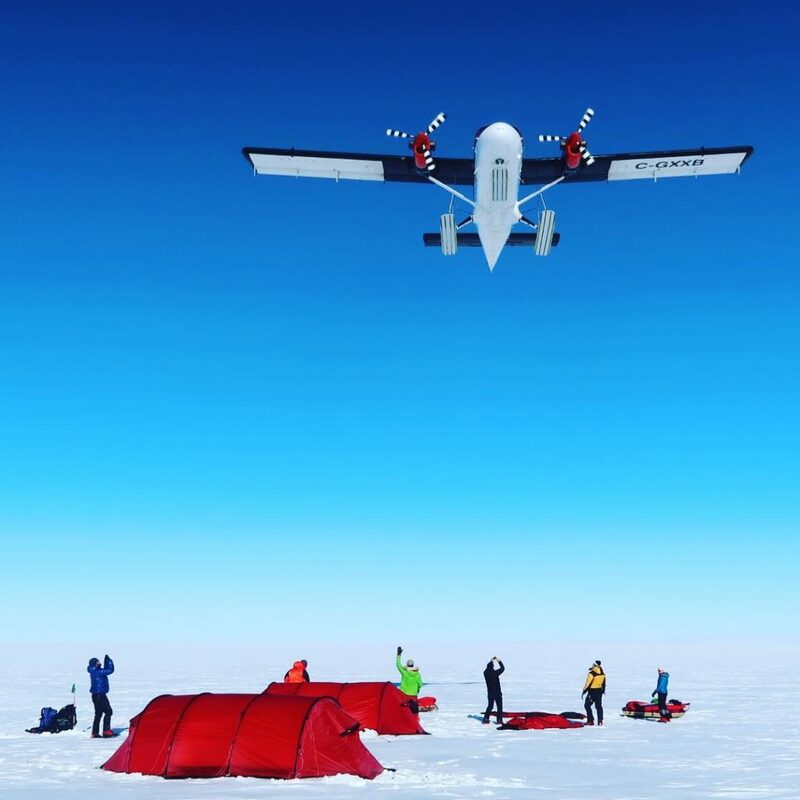 Skiers reach Novo out of Cape Town, South Africa, flying with a Russian company called Antarctic Logistics Centre International (ALCI), which fills a similar role in this obscure northern corner of Antarctica that ALE (Antarctic Logistics & Expeditions) does in the western part of the continent. 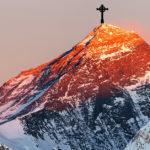 The route features a long climb that brings skiers above the altitude of the South Pole. The indiscernible descent to the Pole disappoints manhaulers who feel they’ve earned a downhill run. Roald Amundsen first discovered this steep, meandering glacier and mushed his dogs over it through the mountains and onto the polar plateau. 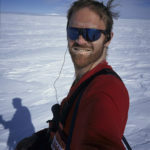 Since then, only two expeditions involving 13 people have started from the glacier, which joins the Ross Ice Shelf, along with another five or so teams starting between the Bay of Whales and the glacier. It includes a section of sled-eating crevasses known as the Devil’s Ballroom. It’s sometimes necessary to painstakingly relay sleds across in teams, when the snow bridges are not bombproof. 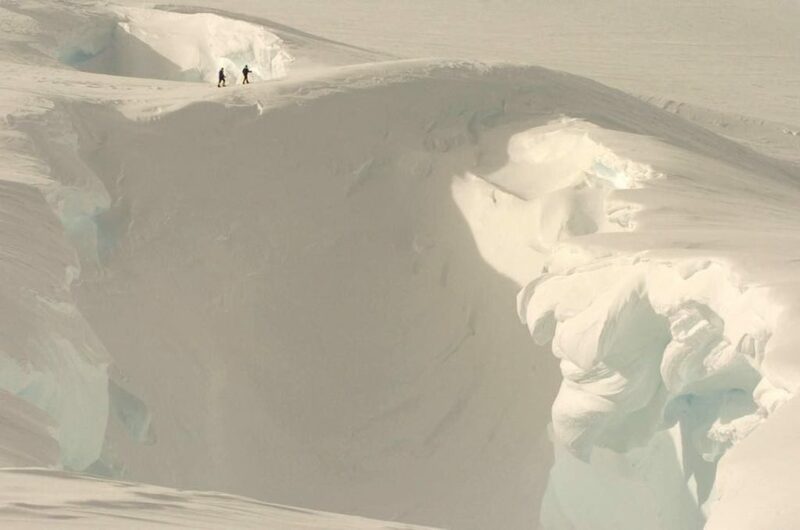 Beyond the glacier, skiers pass over Titan Dome (3,100m) the high point of the route and often plagued by white-outs. Named by Ernest Shackleton, the Bay of Whales is the southernmost point of open ocean in the world. It lies a few hundred kilometres west of Ross Island and 1,230km from the South Pole. 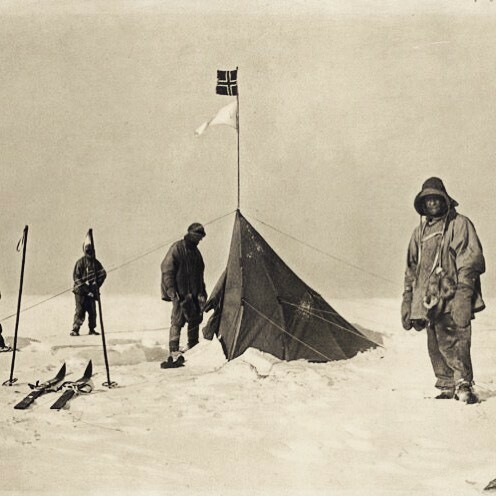 Only six teams have departed from here: The most well-known was Roald Amundsen in 1911. The year before, Shirase Nobu of Japan began here too, but his team was thwarted by bad weather 160km inland and were forced to turn around. Much later, in our era, came two pairs, one from Norway (Harald Dag Jølle and Vegard Ullvang) and another from Britain (Lou Rudd and Henry Worsley). Before dogsledding to the South Pole, Amundsen spent the winter here, then initially went up a route that looked good from below but ultimately stalemated him. With difficulty, he traversed over and discovered the Axel Heiberg Glacier, which he then followed onto the plateau. Not surprisingly, it was also his return route. Reaching Bay of Whales is not quite as expensive as Ross Island, but it is in that high-roller category. 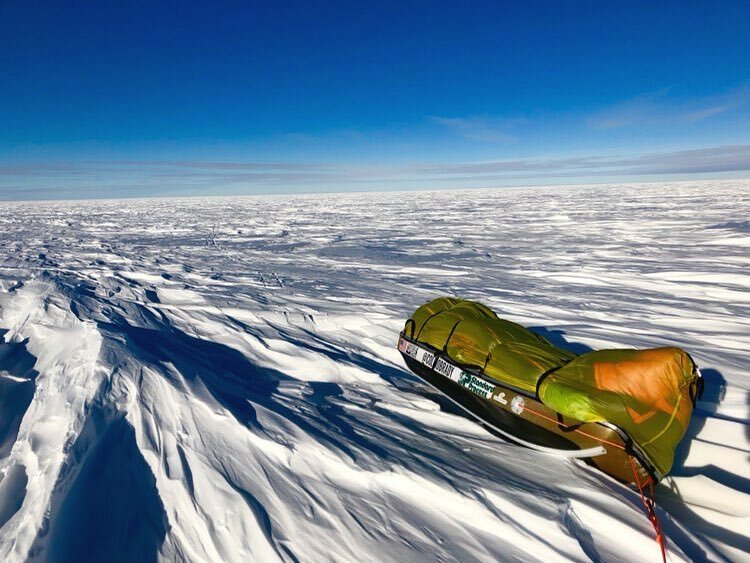 Only seven people across four expeditions have gone from the Leverett Glacier, or the nearby Reedy Glacier, to the South Pole. More people finish partial Antarctic traverses here than use it as a starting point. At 550km, it is one of the shortest routes to the South Pole and follows the flagged McMurdo-South Pole Highway. 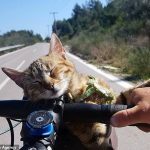 It is the only route that has seen not only skis but wheelchairs and even tricycles. The Larsen Ice Shelf start has been done once and is included in this list of popular routes only because that expedition was quite well-known: In 1989, American Will Steger led the first-ever traverse of Antarctica by dogsled from the Larsen Ice Shelf, on the Antarctic Peninsula, to Mirnyy, a Russian station in Queen Mary Land, on the other side of the continent, in East Antarctica. 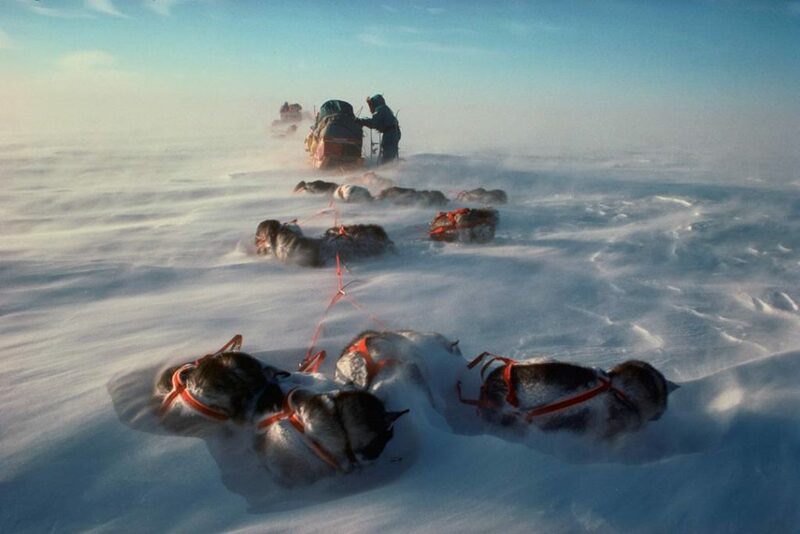 The international team of six, including 42 dogs, covered 6,400km in 220 days, passing via the South Pole. 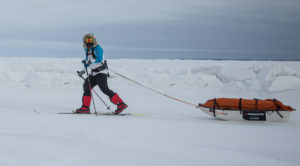 During their time on the ice, they had to contend with 160kph winds and temperatures down to -47°C. The expedition will never be duplicated: Dogs are no longer allowed in Antarctica. Acknowledgement: Thanks to Eric Philips of Icetrek for his Antarctic routes map. 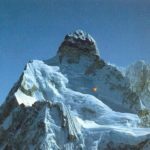 7 Comments on "The 10 Most Popular Routes to the South Pole"
“Edmund Hillary, leading a depot team, skied from Shackleton’s Hut to the South Pole and back.” Incorrect, Hillary drove a Ferguson Tractor and started at Scott Base. Thanks very much for your extensive input here, it’s much appreciated! Corrections applied to the piece. Hi Matthew, And thank you for this research. 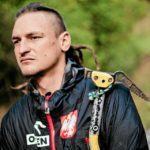 I have read your post and, given the comments below, I now feel compelled to bring your attention to the the Novo-POI-SP-HI route, which I opened in 2011-12 season with my partner Eric McNair Landry with skis and kites. It has been repeated, twice, since then. .
One more correction: the 2006 expedition did not reach the South Pole from the POI as you noted. Their itinerary started at Novo and ended at the POI from which they were airlifted.